One of the positive aspects of changing from triathlon to trail & mountain running/hiking/backpacking is all the new gear I get to buy. While some of the winter running and biking winter clothing transitions well but there are some accessories I must invest in. 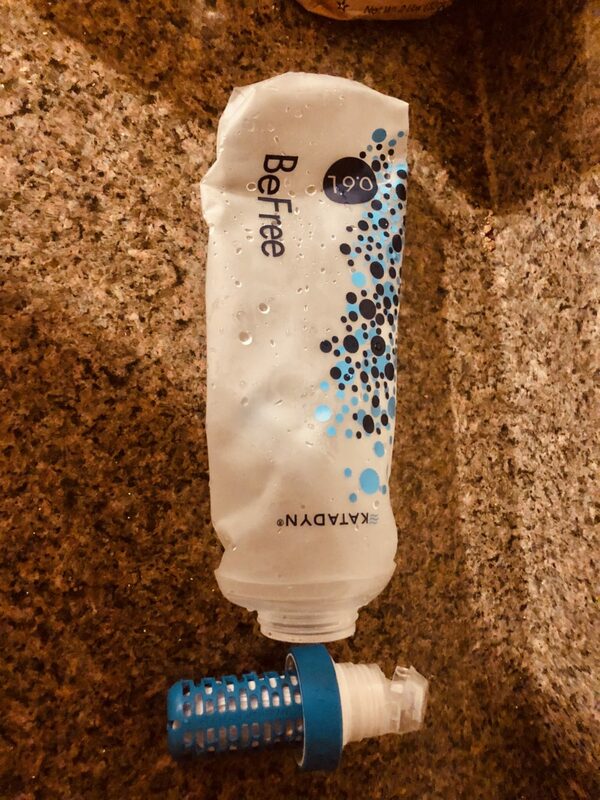 I chose a collapsible water filter option so I could back it pretty easily in a small running pack. I’ll be trying the Katadyn BeFree on the long hike to Owl’s Head this week so we’ll see how it does. This is new technology for me so I can’t wait to see how it works on the trail. I’ve been hiking in trail running shoes for so many years and never considered hiking boots. I always thought that trail running shoes were less impactful on a trail and even when hiking sometimes I like to run. This year is different and I’m winter hiking so I knew I needed to invest in a good boot. The hiking boots I currently own were given to me when I was a Colorado gear tester back in 2008. I still have them but they are pretty beat up. 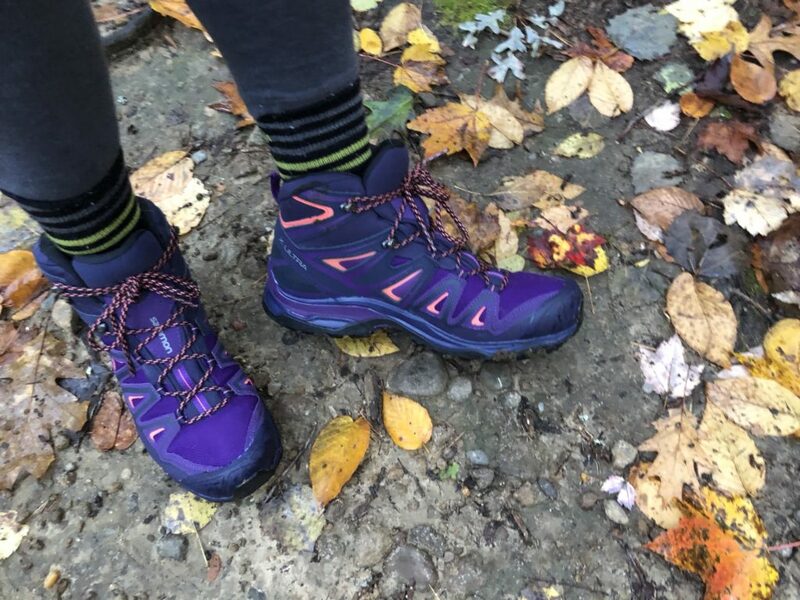 I’ve been reading so many hiking and backpacking websites and blogs, and one trail review writer recommended Salomon X Ultra 3 Mid GTX hiking boots so I researched them. I liked the other reviews I read and decided to give them a try. 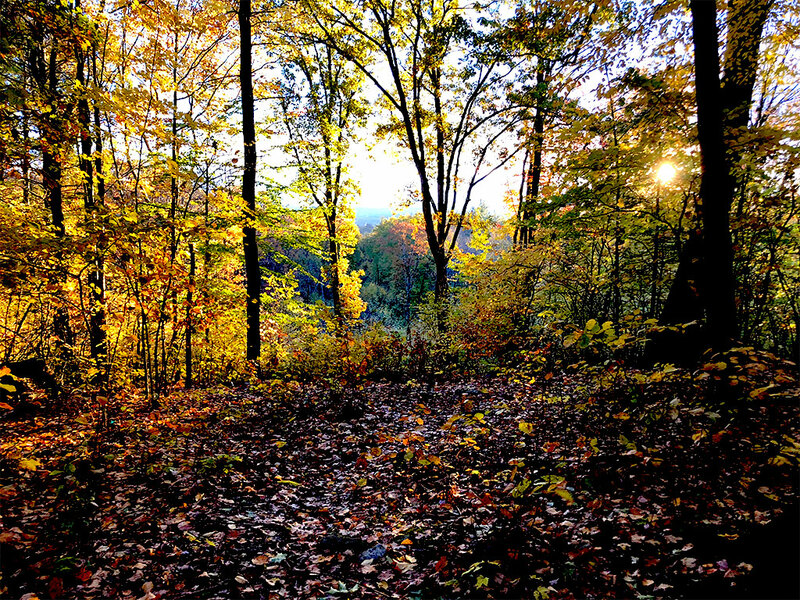 The first break-in hike was this morning [see first photo in this post, a hike with a sunrise]. I’m not bringing them for the hike this weekend; this one’s a biggie and didn’t want to wear boots that need to be broken in. I’ll stick with the tried and true trail runners; probably my Ultra trail runners. It’s good to get back into mountain sports. There is so much more equipment to research and try. Next up: tent and stove. You will need to explain the water filtration system to me.